Where can I find my nearest Gazco retailer? 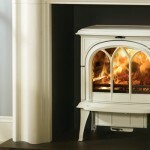 Home » Frequently Asked Questions » Buyer’s FAQs » Gas Buyer FAQs » Where can I find my nearest Gazco retailer? We take great care to ensure that our stoves are designed, tested and manufactured to the highest possible quality and safety standards. We are just as concerned to make certain that they are sold and installed correctly so that you enjoy years of pleasure from your purchase. Accordingly, you will find our products are only available from experienced, independent retailers who will be happy to show you a selection of models locally in their showrooms, often fully operational; discuss your individual requirements both technical (such as the sizing the heat ouptut to your room and advising on your fuel type) and design; and ensure that you select the most appropriate product for your home. These retailers will also be able to advise on or assist with the installation process as well as help provide any after-sales support and servicing your appliance may require in the future. Whilst we encourage to promote fireplace products and their outlets via the internet, we do not believe suitable levels of customer care and satisfaction can be obtained from nationwide online sales and we would strongly recommend that you consider this when undertaking your research and making a purchasing decision. Further, please be aware that we do not offer technical support (beyond our statutory responsibilities) to products bought via nationwide online sales, where this support would normally be offered by one of our qualified, independent retailers. Furthermore, Gazco stoves purchased from within our Expert Retailer Network will have the additional benefit of a greatly extended warranty period, subject to terms and conditions. Find your local Gazco retailer. Do you recommend buying Gazco products via the internet? Where can I obtain Gazco brochures? How much does it cost to run a gas stove or fire? What type of chimney or flue system do I need? I don’t have a chimney. Can I install a gas stove or fire in my house? There is no mains gas in our village. Can I still fit a gas fire or stove in my house? What is the difference between a conventional and a balanced flue system? 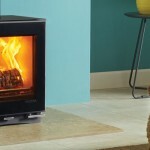 How can I compare heating efficiencies of gas stoves? Do you recommend a CO (Carbon Monoxide) detector for my gas heating appliance?